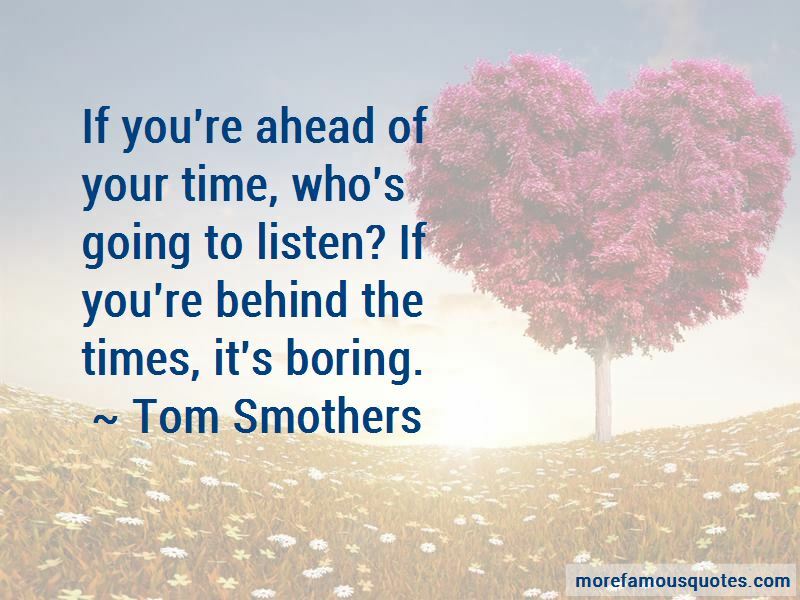 Enjoy the top 11 famous quotes, sayings and quotations by Tom Smothers. 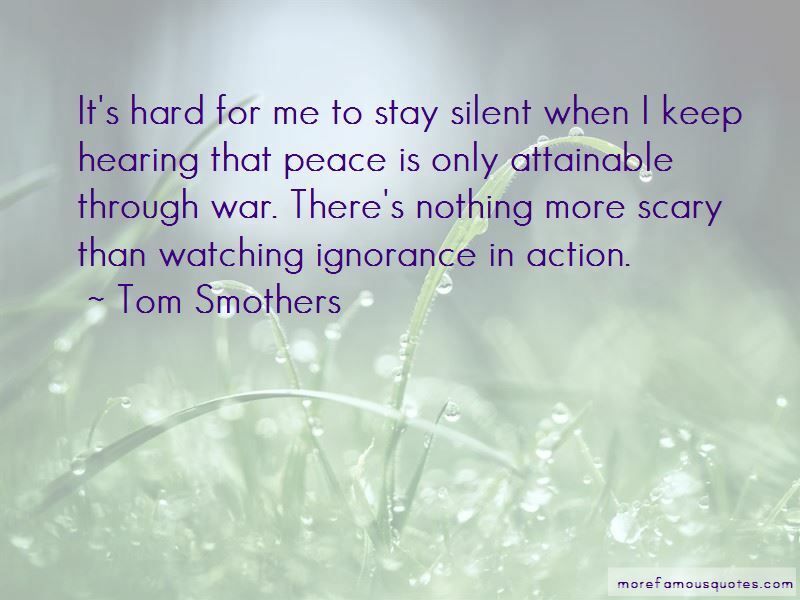 It's hard for me to stay silent when I keep hearing that peace is only attainable through war. There's nothing more scary than watching ignorance in action. If you're ahead of your time, who's going to listen? If you're behind the times, it's boring. I wanted to be in show business, and I was funny. We were against the war in Vietnam and for voter registration and social issues. Everybody has their choices, and the obligation of a comedian is first to entertain. And if you're so inclined, and you have some bigger thought, make sure you express it, because that's a gift. Want to see more pictures of Tom Smothers quotes? 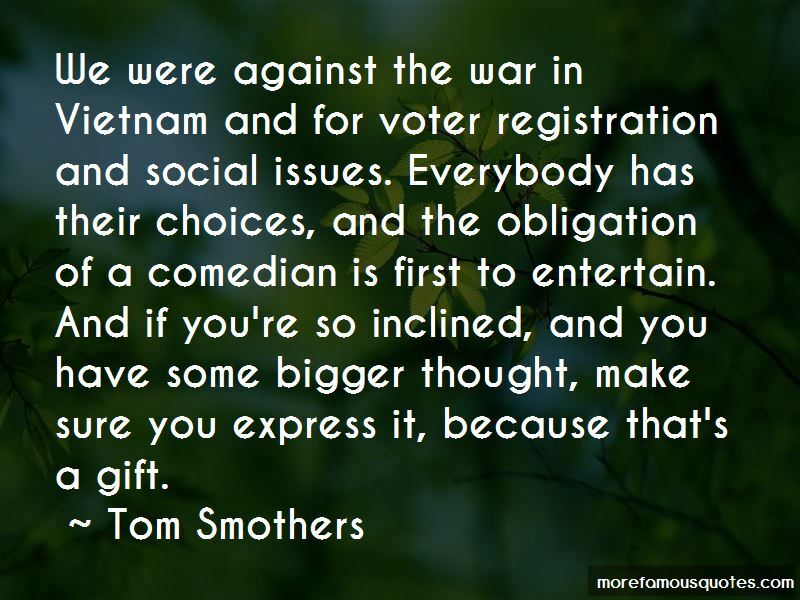 Click on image of Tom Smothers quotes to view full size.